Pauling Blog: When did the Linus Pauling Institute become something that was on your radar? Did you have any sense of it in the ’80s and ’90s, or was that far from your world? Richard van Breemen: I don’t remember for sure, learning about the Linus Pauling Institute, until I visited the campus of Oregon State University. I visited here multiple times over the last twenty years. The very first time was as part of a site visit team for the National Institute of Environmental Health Sciences. They were funding a center here on the Oregon State campus led by George Bailey, who was a member of the Linus Pauling Institute, and Bailey was an expert in toxicology and environmental exposure to toxicants. And he developed a fish model – I think he was working with trout maybe at the time – and that legacy is continuing worldwide and on-campus here at Oregon State, and its led by Robert Tanguay, with the zebra fish model. At the time we visited here it must’ve been in the 1990s, with George Bailey, and we reviewed his center, and of course it got renewed. And then after he retired – I think he retired from Oregon State around 2008 – it became directed by, for that particular grant, it was taken over by Joe Beckman, who’s also a Linus Pauling Institute investigator to this day. We made one other site visit. Today most NIH institutes have abandoned the site visit approach because of costs, but I’ve found it to be very enlightening. I didn’t know, at that time, much about fish models of toxicology and predicting effects, toxic effects, on animals and human health. But George Bailey was way ahead of his time in that model and it has been adopted, as I’ve said, worldwide. I came back here to visit a few more times. Next visit would’ve been with the American Society of Pharmacognosy. I’ve mentioned that name before, and that Norm Farnsworth was a famous pharmacognosist; he was one of the founders of that organization. It was actually founded in 1959 in the Pharmacy School at the University of Illinois-Chicago, in the same lecture hall that I’ve lectured in many times. That same building was there in 1959, and that’s where my laboratory had been. So the American Society of Pharmacognosy has its annual meeting, and it’s held in different places around the country. Oregon State has hosted that meeting at least three times and I’ve attended every one of the more recent ones in the last twenty years here on campus. The most recent one was just a year ago; that was in Portland though. It wasn’t specifically on the Oregon State campus, but several of them were held here, and I did attend one, and it was organized by mainly LPI investigators: Fred Stevens, with help from his colleagues in the LPI like Balz Frei. The next time I visited was at the invitation of Balz Frei, the previous director of the Linus Pauling Institute. He invited me to give a seminar at the LPI. So a few years later, when my telephone rang and my emails lit up with messages: would I be interested in applying to be the director of the Linus Pauling Institute? So I knew exactly at this point what it was – I was very familiar, I’d been here before, I’d met the people. And it was an easy decision; I submitted my application. PB: What are your goals for LPI, now that you are the director, for the next handful of years? RVB: When I joined the group in Chicago, I was invited and recruited there because I complimented the team. There was a team of experts in pharmacognosy, in biochemistry, in medicinal chemistry, and I brought in certain skills that they didn’t have. But together we were very effective at competing for the National Cancer Institute grants to look for natural products for chemoprevention, the botanical center grant opportunity when that appeared in 1999, and others. So I want to do all I can to build teamwork. We’ve got a lot of skilled, very talented researchers in the Linus Pauling Institute, but we have no center grants at this time. They have had them in the past, but at the moment there are none. So I’m coming in at sort of a lull and my immediate goal is to put together some teams and compete and hopefully win some external grants from the National Institutes of Health, maybe one from the National Cancer Institute, to look at chemoprevention again, of natural products. The grant I mentioned, that I’ve been a part of in Chicago, is no more. There’ll be a new competition in the next year for the botanical centers program; it would be wonderful if the Linus Pauling Institute could be the home of one of those. The very next center grant that we will submit will be one that is focused on mass spectrometry, and that one I will submit in the first week of January in the new year, 2019. And the focus of that will be how to rapidly find active – that is, pharmacologically active – natural products and complicated mixtures. This is a question we ask every day in our research with botanical dietary supplements. If the dietary supplement made from a particular plant has an effect on cognition, on blood sugar levels, on estrogen levels and the like, how does it do that? And we can hopefully use mass spectrometry to more rapidly identify the active constituents? This is something I started doing in Chicago, initially to compliment the field that was combinatorial chemistry. In the late 1990s, the pharmaceutical industry shifted from its more traditional approach to looking to nature to find inspirations to find new therapeutic agents, and they thought, “well, all we have to do is build libraries of chemicals, synthesize all we can, but put them into some storage, and then we screen all those compounds against a target, a pharmacological target, and that’ll be our way of discovering new things.” Some companies built libraries with as many as a million compounds and what they found was that it was very expensive but they didn’t find more compounds and they didn’t develop more drugs than they had before. So I initially invented some mass spectrometry screening tools so we could look at pools of these combinatorial libraries, and within the pool of a hundred compounds, or five hundred compounds, in one step, identify any that interacted with the pharmacologic target, like an inhibitor of an enzyme. But then I quickly realized that would also be applicable to a plant extract, and if that plant was used by Native Americans, in ayurvedic medicine, in traditional Chinese medicine, for a specific purpose, then it might have a pharmacologic target. And I could take that target and test for compounds that interacted with it to identify them with mass spectrometry in a matter of, let’s say, hours at most, whereas it would take months of an individual’s effort to identify it by the conventional means. So I want to use that approach, which I’ve been working on for twenty years, and there’s a mechanism at the NIH and the National Institute of General Medical Sciences to get a mass spectrometry center award, to teach other laboratories that do drug discovery and how to do this. Hopefully I’ll have some success, but that’ll involve some folks in the Linus Pauling Institute, like Fred Stevens. We’ll collaborate with the Center for Genome Research and Biology, led by Brett Tyler. That’ll be my first center grant application since arriving here on the Oregon State University campus. Second will be our botanical center application in the middle of next year. Dave Williams, another LPI investigator, will hopefully submit – and this is something that we’re working on now – he’s putting together a team from the LPI to apply to the National Cancer Institute for funds to study natural products as possible chemoprevention agents. This is what we used to do in Chicago, in a grant that doesn’t exist anymore, and there’s very few research groups left in this country who are doing natural products drug discovery for cancer prevention, so I hope Dave is successful in his NCI application in the new year. So those are my immediate plans, but it all depends on teamwork, drawing on the experts we have within the LPI, reaching out to other units on campus to build groups who have the breadth and depth of expertise to be competitive for these large grant awards. And, of course, I’m going to continue to do my best to get the word out about the Linus Pauling Institute and continue the philanthropy that Linus Pauling started, which helped build the Linus Pauling Institute in the beginning, as well as the grant proposal approach. PB: It’s a difficult balance to strike, being an administrator and a scientist at the same time. RVB: Well, that’s part of the job. I wouldn’t have taken the job if this was going to be a strictly administrative post. I’m not ready to leave the lab, and I also enjoy, very much enjoy, as did Pauling, teaching. I was in a pharmacy school the last twenty-four years and lectured to some pharmacy students, but I spent most of my time training graduate students who either worked in my lab or in other laboratories. Graduate education is something that we do exceptionally well in the United States; we have a great history of that, from the time our PhD programs were started roughly a hundred years ago. But we rapidly emerged as the world leaders in scientific research and scientific education for researchers. I’ve graduated over fifty PhD student and about twenty-five post-doctoral trainees and master’s students, and I’m continuing that. I brought five graduate students with me from Chicago and I’m looking forward to continuing that tradition. The first grant proposal I submitted once arriving at the Linus Pauling Institute this year was actually a training grant, which will train exclusively pre-doctoral students in natural products research. That’s still pending. I have my hopes up that we’ll get our award before the year is over; the National Institutes of Health training grant. The four men who have served as director of the Linus Pauling Institute at Oregon State University. From left: Don Reed, Balz Frei, Fred Stevens and Richard van Breemen. PB: Any thoughts in closing? RVB: I’m delighted to be here on the campus of Oregon State University. I’d like to say that the moment I heard, my bags were packed, but of course there was the national search, and I interviewed. The process first began on the telephone interview and then an in-person interview and then another follow-up visit, and all of it was most exciting. The more I learned about Oregon State, and the more I learn to this day, the more excited I am about being here. It’s a great environment, fabulous investigators, great resources. I would like to not only enhance the external funding of the Linus Pauling Institute, but I want to enhance its international presence, its image. I think this is a gem that needs to be appreciated more outside of the walls of Oregon State, and across the state and beyond the state borders, throughout the country. And I think that the Linus Pauling Institute has a worldwide image. I’m going to do my best to enhance that in all the ways that I can. Pauling Blog: Was North Carolina State your first faculty position? Richard van Breemen: I did a post-doctoral fellowship for a year at Johns Hopkins, with Robert Cotter, then moved immediately into a faculty positon, yes. So I was an assistant professor at North Carolina State in the Chemistry department. PB: And you founded the Mass Spectrometry Lab for Biotechnology at NC State, is that correct? RVB: That was the attraction. I was offered a position with a very appealing start-up package that would enable me to buy a state-of-the-art, high-resolution, high-performance mass spectrometer. As I mentioned [in part 1], this revolution had occurred in the 1980s which enabled us to ionize molecules much larger than anyone had ever imagined, and so this was a time when we were starting to look at peptides, various small proteins, oligonucleotides, expanding beyond the volatile compounds that had dominated organic chemistry and mass spectrometry up until that time. Mass spectrometers were very adept at looking at anything that could be distilled as gas phase molecules, things that could be changed from a condensed phase to a gas phase, because ultimately you have to put them into a vacuum. The ions are formed and then the ions have to be manipulated in weight in that vacuum so they don’t contact any air or any molecules that could quench the ions. But no one had succeeded in changing very polar large molecules – like sugars, DNA, proteins, RNA – from that condensed phase into the gas phase. It was just not considered possible. So my interest in the North Carolina State job was to start a mass spectrometry center and apply it to biotechnology questions. Well, we could now, for some of the first times ever, use mass spectrometry to look at large protein-like molecules in ways that we never could before and answer some interesting questions in the biotech world. I had written a grant proposal to the NIH to use mass spectrometry to help determine protein structures, whereby we would cleave the proteins into smaller pieces with trypsin, chymotrypsin and other endoproteases, and then measure those smaller pieces by mass spectrometry, and then put them all back together again to determine what the structure of that protein had been and if there were any changes in it, post-translational modifications, or maybe it got modified by a pharmaceutical agent or a toxin. And the critique – I keep all of the old critiques which I get from my grant proposals, I have a file for them. We used to call them Pink Sheets, because the NIH would mail you pink carbon copies of the type-written critiques of your grant applications, and you always shuddered when the mail came and you knew that letter was there, and you didn’t want to open it because you didn’t know what the answer was. This one said that mass spectrometers were incapable of measuring large molecules, and it was absolutely impossible for anyone to even think that mass spectrometry could be applied to the study of whole proteins. Today, we call that field proteomics. I didn’t pursue proteomics beyond about 1990-91, and by the time I left NC State to go to Chicago, I was looking at much more biomedical problems. PB: So was that the prompt to move to Chicago, this new shift in your interests? RVB: Well, partly. I abandoned the idea of what was to become proteomics and peptide-based therapies and protein-based therapies, which is something that I’d been very interested in for a while, and started to pursue something that some of my colleagues at NC State had originally suggested. So in the Biotechnology program, I got to meet a lot of folks involved in botany, food science, forestry, all these departments that are found at state universities around the country. And some of these colleagues brought me interesting research problems which I just found quite intriguing and pursued in one way or another to this day. One of my friends in food science, Steve Schwartz, brought me a set of carotenoids that he had purified by chromatography. Carotenoids and chromatography go all the way back to the beginning of chromatography, over a hundred years ago, when a Russian chemist, Mikhail Tsvet, found that he could take a glass column, fill it with diatomaceous earth and other solid-phase sorbents, pour an organic chemical solution – an extract from a plant – through it, and he would see bands as the liquids percolated through the column. He would see bands of color appear, and the bands would be chlorophylls and carotenoids. So my colleagues in botany and food science brought me carotenoids and chlorophylls, and asked if I could determine their structures by mass spectrometry, which actually was fairly novel at the time. And so I had the tools – a very nice, high-performance tandem mass spectrometer, with absorption techniques, which enabled these molecules that really had been difficult with earlier mass spectrometry tools to ionize. I could ionize them with tandem mass spectrometry, which is literally: make the ion, break it into pieces in the gas phase, then measure the pieces with the next phase of mass spectrometry. You learn a lot about structure that way. I was able to get some very useful data for both chlorophyll identification and carotenoid identification. And that is where, at least in the carotenoid field, that I continued later. There’s some other interesting stories of botanists. Wendy Boss came with a problem about signal transduction. Phosphatidylcholine, inositol, and other phospholipids were known to be messengers between human cells. She was asking the question, do plants also use these second messengers? Like phosphatidylinositols – P.I. – phosphoralated versions – PIP – and so on. And so I’ve collaborated with Wendy Boss for a while and helped establish that yes, some of the very same second messenger communications with phosphatidylinositols occur within plants – in particular, we used carrot cells – as happen in animals and humans. So I moved out of the area of more biotechnology orientation towards more biomedical work, and then it was time for a change. I needed to be in a more biomedical environment, and an opportunity arose to move to Chicago to join a department in a Pharmacy school. I was trained in pharmacology, not strictly pharmacy, so I knew a lot about drug metabolism and receptors, and how drugs work, and a lot about mass spectrometry and looking at drug metabolism. I joined a team there which had a long history and was one of the best pharmacognosy groups in the world. Pharmacognosy is an old name from the 19th century about the study of medicinal natural products from sources like plants, microbes; terrestrial or marine. And they needed somebody with my expertise who could use mass spectrometry to help them more quickly and efficiently identify new products that they were isolating, but also somebody who could help translate their discoveries into more of a biomedical application, towards the path of drug discovery. I joined a team lead by John Pizzuto, who was my department head at that time, who had been leading an NIH-funded center for natural products drug discovery; he called it “natural cancer prevention.” So these compounds that he envisioned would be useful in preventing the occurrence of disease and, in particular, cancer. I remember the days when going to the doctor for an annual checkup wasn’t covered by insurance, because you weren’t sick, but the doctors had to check a box off to say that they were treating you for a cold or a throat infection or something, just so you could get health insurance to cover it. Those were the days before health insurance folks realized that – it’s the old Ben Franklin adage, “prevention is worth a pound of cure,” was true. It’s a lot cheaper to prevent cancer than to cure it. So today, I think, when health insurance does cover routine visits, it’s for annual checkups for the prevention of various forms of disease. But this was still an unappreciated, almost radical idea, even as recent as the 1990s. So John Pizzuto had a program project grant from the NIH to screen, initially, botanical natural products – and later also marine natural products – for possible cancer prevention agents. And I helped identify those agents and then looked at their metabolism, bio-availability, pharmacokinetics; I started to move them towards clinical trial. And that group discovered molecules like resveratrol, which today are very famous as cancer prevention agents. Towards the end of the 1990s, I was still working as part of that team, but now it was time for me to start organizing some group efforts of my own. Van Breemen in his laboratory at UIC. PB: Can you tell me about that phase of your work, from 1999 to 2017, the research that was being done? So we focused on women’s health, and instead of trying to go to the jungles of the world or the oceans of the world to find new supplements that might be safe and effective, we have focused exclusively on dietary supplements that have already been used or are currently on the market. We look at the evidence for use, historical use, in the literature and in natural medicine – the ethnobotanical history of these products – and of course their current use in products that are on the market. So our first goal in this program is to make sure that the products that are being used by women are safe. And as funding permits, we carry our clinical trials to investigate their efficacy. But at all times we investigate mechanisms of action; we want to identify the active compounds and figure out how to standardize these products to make them more reproducible. That’s the essence of science: to understand why something is happening but do it in such a way that, when you carry out an experiment, others can follow and reproduce your work. How can you reproduce a clinical trial if you don’t really know what species of plant had been used in a study? So prior to the botanical center’s program, funded by the NIH, much too much published literature was not as reproduced as it should have been. They were not using products where they had a botanist identify the species of a plant, they didn’t carefully – sometimes – describe how that plant was harvested, extracted, prepared, put into pills or something like that; some form for a clinical trial. But in order to reproduce their work, one needs to be able to know all those things, and so we helped formulate an approach where byproducts could be standardized chemically so we know what their constituents are, at least the active constituents. Plant extracts and plant products are so complex, we don’t know all their constituents, but we know what the major ones are chemically, and then standardize the product also biologically through receptor-based assays. That’s the essence of pharmacology. Through animal studies, through human clinical trials even, we want a product that is biologically standardized as well as chemically standardized. I envision that the botanical supplements industry will eventually reach that point where the products have a body of literature behind them, so consumers can make a very safe choice about what to use and why to use it. PB: So that standardization piece was the primary thrust then, of that program? RVB: It was one of the early success stories of that program. I think more than anything my background in organic and analytical chemistry, that application – at least in our grant, in our studies – I think it’s become a paradigm that’s now standard in the industry, whereby, if a company wishes to market a botanical dietary supplement, they have to have evidence that shows they know what plant is going into that product. There have been a few unfortunate events where toxic plants were used by mistake and it’s caused some deaths worldwide. But if the producers are careful and follow good manufacturing practices, they can ensure that the materials that go into their products are carefully identified and standardized so they produce a safe product. And eventually the clinical trials of these products will be carried out so that we’ll also have evidence about their efficacy. But at present, there’s no – at least in the US – rules and regulations about dietary supplements; there’s no requirement that the product be efficacious. But if a producer wishes to label their product as having a specific health benefit, they have to have the evidence to show it. And that’s, I think, the next phase of the botanical dietary supplements research field, is to not only continue to identify active compounds in botanical supplements – and not necessarily with the idea that we’ll discover new drugs, but people want to use these as mixtures, and mixtures certainly have different effects than individual substances do. Dietary supplements have been with us since the dawn of medicine, in one form or another. People have gone to nature to use medicinal plants and other sources around them to cure disease, to treat disease, to relieve pain. And so that’s the basis of the early field of medicine, of the drug industry, of pharmacology: looking at how natural products effect receptors, enzymes, health. So we got to talking and he was interested in establishing the optimum amount of beta-carotene that one would need in their diet to prevent vitamin A deficiency. Vitamin A deficiency is the number-one cause of blindness in children worldwide and yet, if beta-carotene is such a good source of it, why should people from countries where they rely primarily upon fruits and vegetables and very little on meat for food suffer so much from vitamin A deficiency? So he thought that the recommended daily allowances and the minimum daily requirements that were listed in the WHO, and by the Institute of Medicine in the United States, needed revision. I helped him on several clinical studies that were carried out in Indonesia and several in Europe, on the bioavailability of carotene, given orally, and its bioconversion to retinol, which is vitamin A. So it can be considered to be a pro-vitamin A molecule. It’s not active – beta-carotene is not a vitamin A molecule – but it can be converted by an enzyme in the human intestine, a dioxygenase, which cleans it into two molecules of vitamin A retinol. But people had overestimated the efficiency of that process. So we did some studies with stable, isotopically labelled beta-carotene. Remember, mass spectrometers were invented by physicists to prove the existence of isotopes. Isotopes can be stable as well as radioactive, so mass spectrometry typically measures stable isotopes and uses them as a way to distinguish a molecule that’s heavier than another. We can distinguish the endogenous form of vitamin A from one that you might add as a supplement because we can put deuterium or carbon-13 – stable but heavy isotopes of hydrogen and carbon – into that molecule of retinol or beta-carotene, feed it to somebody, then measure, by mass spectrometry – the quantitative aspects of mass spectrometry – we can distinguish endogenous from supplemental heavy beta-carotene and retinol in the blood, and then determine how much of that oral dose got absorbed. We did that on a study of children in Indonesia and sent the data to the Institute of Medicine in the United States, who rejected it, saying “it’s irrelevant for the health of Americans because it’s Indonesian children!” So Clive went back to the Netherlands and did a new study on graduate students at Wageningen University eating a western diet. I did all the measurements in Chicago, because he sent me the blood samples, and we published another study. Since then, the World Health Organization has revised the recommendation of the amount of beta-carotene necessary for vitamin A formation in the human body, but the Institute of Medicine in the United States has not. There’s also a difference that we explored about how the food matrix, containing beta-carotene, affects bioavailability. Then we moved on to another study that had to do with folic acid; folic acid being another necessary nutrient, but it’s a pre- or a pro-nutrient. Folic acid is not active, but tetrahydrofolate, a metabolite of it, is. In the United States we supplement flour with folic acid to prevent, hopefully, neural tube defects, which is a birth defect caused by maternal deficiency in folic acid. The European Union doesn’t allow folic acid in their food; it’s considered an adulterant and it’s banned by law. So here we have the Europeans saying there’s no evidence that folic acid in the human diet can prevent folic deficiency and the US mandates it by law. So we embarked on some clinical trials with labelled tetrahydrofolate, folic acid, and other forms of folic acid, to measure the bioavailability in orally administered supplements. We published some of that work and, unfortunately, Clive fell ill and passed away, and we only published the first two papers on folic acid. So that work hasn’t continued, but it does give you an example that, by anecdote, why we don’t know everything there is to know on vitamin supplements. So the work of Pauling is not over. [The end of 2018 will mark the conclusion of Richard van Breemen’s first year as director of the Linus Pauling Institute at Oregon State University. Recently, the Pauling Blog sat down with Dr. Van Breemen to learn more about his scientific background, his career in research, and his vision for LPI. Pauling Blog: Tell us about your earliest interests in science. Richard van Breemen: I come from a family with a fairly substantial scientific background. My grandfather on my mother’s side came from a homesteader family in Iowa. He was the first in his family to go to college, and he went to the University of Iowa in Iowa City, stayed on there, got an early PhD in Physiology, became a faculty member, and eventually the department head of Physiology at the University of Iowa. My mother and father met each other at Iowa in graduate school; my father became a university professor as well. I moved around the country a little bit with him; he was at the University of Colorado and eventually became head of the Biology department at a state teacher’s college in Maryland called Salisbury University. So I’m a third-generation university professor. So growing up, there was always science around the house. My mother got me and my brothers involved actively in the 4-H program in rural Maryland where we were, on the eastern shore. I had a county award-winning insect collection; I was learning about etymology at an early age. We had shell collections from coasts around the country. So there were lots of science projects going on around me; my parents made it a very rich environment in that sense. I’m very thankful to them. PB: Can you tell us how this progressed? The progression of your scientific interests through your high school and undergraduate years? RVB: In high school, I also developed an interest in music. I’ve found that quite a few scientists have also been interested in music over the years, so maybe there’s some part of the brain that is both music and science together. So I applied to colleges to be either an oboist, as an obo major, or as a physicist, a physics major. I chose Oberlin College because it offered both music conservatory and a strong science academic program. I didn’t intend to major in chemistry, but I thought it was a good idea to take some first-year, maybe even second-year organic chemistry courses. Multiple times during my first semester of chemistry as an undergrad, Norman Craig, my teacher, said, “I’ll say this only once, because I hear some of you are still learning this in high school chemistry: this is 19th century and it’s wrong.” And every time he said that, that was exactly what I learned in high school chemistry. So I was intrigued by that. PB: And then what happened? RVB: Well, I went to the University of Iowa, where I had some family ties, and spent the summer as a junior working in a pharmacology laboratory. I was introduced to an analytical tool called a mass spectrometer and I was pretty much hooked on it from then on. Today, one of my hats is biomedical mass spectrometrist. So that was the beginning of that program. So when it came time to apply to graduate school, I applied to schools of Toxicology and Pharmacology, and chose to go to Johns Hopkins University, in the Pharmacology program. At that time, and to this day, Pharmacology at Johns Hopkins has a very strong chemistry focus. I chose an advisor, Catherine Fenselau, who had been a student of Carl Djerassi at Stanford. Djerassi is a famous chemist, connected with the invention and early development of oral contraceptive pills. So what Catherine Fenselau did in Djerassi’s lab was to introduce him to the analytical tool of mass spectrometry, which he vigorously pursued for many years thereafter. Catherine moved from Stanford eventually to Johns Hopkins University, in Pharmacology, in 1967, and brought into that medical school, for the first time, mass spectrometry. I became her first graduate student at Johns Hopkins. So in a sense, I trace my lineage to Carl Djerassi; like my grandfather in graduate education. So in that context, I learned about drug metabolism, analytical chemistry, in terms of how it can help solve chemical structures for new chemical entities, but also to follow how molecules change in the body. Mass spectrometry is also quantitative, and it shows you how much of a compound might be in blood or tissue. To this day, I use that as a tool for all of my research. PB: The tool has changed a fair amount, I have a feeling. Then, as a graduate student, new techniques were introduced to ionize macromolecules, to make proteins of sixty-thousand, a hundred-thousand molecular weight gas phase ions that could be manipulated in the vacuum of a mass spectrometer and measured, and the structures determined. So we’re still in that era of biomedical mass spectrometry, which has been the subject of Nobel Prizes for people like Koichi Tanaka and John Fenn, who shared the Nobel Prize for applying mass spectrometry to protein structure determinations and weighing them. John Fenn visiting the Oregon State University Libraries Special Collections storage stacks, 2012. PB: What was your sense of Linus Pauling when you were a student? RVB: Well, I was aware of Linus Pauling for that fabulous chemistry textbook that he had written for undergrads, but also for his work with the structure of proteins and the alpha helix and crystallography; with x-ray crystallography of protein structures. So the chemical bond, in his work, was structures of macromolecules. And of course I grew up in an era where, in public school, we were told to hide under our desks or go into the hall in case there was a nuclear strike, and so Pauling’s work to stop the proliferation of nuclear weapons and halt the atmospheric testing of nuclear weapons was something I was very aware of in the early 1960s. And one could think of that as sort of the next stage of his career, when he became an activist in world peace. Of course now, in the Linus Pauling Institute, I’m realizing that the last stage of his scientific career, where he was involved with how natural products – vitamins, minerals, micronutrients – can help maintain health and prevent disease; that’s something he was very active with from the 1970s until he passed away in the 1990s. PB: You met Pauling, did you not? When you were at NC State? RVB: Yes, I did. This was during my very first year, and in my first academic job as an independent assistant professor. The department of Physics at North Carolina State continues to have an endowed lecture program, and they invited Pauling to give a lecture in the fall of 1986, and I was lucky enough to not only attend this lecture but to go to a reception in his honor, to get a chance to talk to Pauling for five or six minutes on my own. I was mainly asking him about – he was passionate about teaching, educating new generations of young people, undergraduate teaching, as well as graduate education. I was teaching organic chemistry for the very first time, and some of my colleagues were skipping the chapter of organic chemistry books that deals with spectroscopic characterization and the identification of organic molecules – that includes mass spectrometry, as well as nuclear magnetic resonances, infrared spectroscopy, ultraviolets spectroscopy, and so on. It was optional. So I wanted to teach it. Not all of my colleagues were, because they wanted to spend more time on the other chapters. We all had to start with the same textbook and the same chapter and finish by the end of the semester on the same chapter, but in between we were free to teach however we felt best. So I included that chapter on spectroscopy and the determination of organic chemical structures. Pauling said that was just fine and in his chemistry textbooks, he told me he had a chapter describing mass spectrometry too, so he thought that I should follow my heart on that one. I didn’t think to ask him about his Linus Pauling Institute. Of course I couldn’t have known where I would be all these years later, but if I had, I would’ve asked him more about that aspect of his career, and what he was doing in his Institute at that time. His lecture was actually about the structures of certain kinds of crystals-a physics lecture, in this particular case [on quasicrystals]. RVB: With Norman Farnsworth, who has now passed away, but was a very esteemed, world-famous pharmacognosist, we founded the first NIH-funded botanical center for dietary supplements research in 1999. That grew out of the Dietary Supplement Health Education Act, known as DSHEA, of 1994. And here’s a Pauling connection. In the 1970s, when Linus Pauling got to being very active in research with vitamin C and cancer prevention, there was a move by the Food and Drug Administration, and by Congress, to regulate vitamin C and other vitamins as potential drugs or therapeutic agents. Pauling argued, testified before Congress, worked very diligently, to help keep vitamins and mineral supplements over-the-counter. He felt that that these compounds were so safe that it wasn’t necessary to make them prescription-only. First, he advocated for larger doses of Vitamin C than was necessary to prevent scurvy, but that’s the whole area of research that became the Linus Pauling Institute. So he was successful, Congress only passed laws that helped regulate the amounts of certain nutrients and for the most part vitamins and mineral supplements remain over-the-counter…of course, there are prescription medicines for pregnant women who need extra vitamins during the prenatal period. Skip ahead twenty years to the 1993-94 period of time, and Congress revisited whether dietary supplements should be regulated in a new and different way. This was towards the end of Linus Pauling’s career – or, his whole life – but he still weighed in on this. And I was just checking some of the facts and figures in this archive here at the Oregon State University Library, and Pauling did have written into the Congressional Record some of his opinions regarding the possible regulation or why dietary supplements should not be overly regulated, and I think he had another major effect because people listened to him in Congress. And I think what came out of that period of Congressional hearings was the Dietary Supplement Health Education Act of 1994, which created a niche market for dietary supplements: they are neither drugs and regulated by prescription, nor are they foods, which has a whole different set of regulations. But it did authorize the Food and Drug Administration and the Federal Trade Commission to regulate what’s on the label, and to act if anything was being marketed that was harmful. The FDA has since issued a regulation that requires dietary supplements to be produced using good manufacturing practice. That wasn’t initially part of their regulations, but that has been added since. So part of the DSHEA Act was to establish the Office of Dietary Supplements within the NIH – ODS – and gave them money by statute to investigate the safety and efficacy of botanical dietary supplements with the mission of protecting the health of the consumer. And by 1999, the very first grant out of that Office of Dietary Supplements was issued, and there were two grants funded that year, one to University of Illinois at Chicago, where I was, working with Norman Farnsworth, and the other to UCLA. That program has continued to this day, and when I left the University of Illinois at Chicago, I was the director of that botanical center. I wasn’t able to move it to Oregon State University, but the grant continues, and I continue to work with them, running a project in an analytical core to support the work that we began in 1999, looking at the safety and efficacy of botanical dietary supplements used by women. So there’s a little overlap with Linus Pauling and the work I was doing in Chicago before coming here. 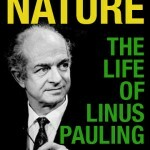 PB: What is your sense of Linus Pauling’s legacy today? RVB: Well, Pauling’s legacy, it continues in many, many ways. He, of course, received his first Nobel Prize for his work on the chemical bond, using a synthesis of theory and laboratory experiment to prove what the nature of the sigma bond is between atoms, like two carbons. All of chemistry today owes him a lot in that sense; he was extremely brilliant in many respects, he thought ahead. When I talked with him at that brief meeting during his lecture in North Carolina, he told me he was writing his next paper in the back of his mind as we were speaking. But he typically would write a paper, have all the aspects of it worked out in his mind, before sitting down with a typewriter. He obviously had a lot of things going on at any one time. He was ahead of his time in his efforts to contain nuclear weapons – I think most of the world caught up later to realize how important that work was, in leading to the test ban treaty. I think the work that began the Linus Pauling Institute was also well ahead of its time. He certainly received a lot of criticism. I think folks in biomedical research might’ve circled their wagons and said, “well, you’re a chemist, what do you know about cancer and cancer prevention?” But in many respects, he was ahead of his time there, and we now know, not only can vitamins prevent the diseases of malnutrition, but they do have benefits beyond simply keeping all of the biochemical pathways working. So to say that vitamin C has no benefits at all as supplements, of course, wouldn’t be true, because it prevents the disease of scurvy, and then there’s rickets and other vitamin deficiency diseases. So we definitely know that vitamins are essential for human health. The question is, what’s the optimum for human health? And that’s something that the Linus Pauling Institute began exploring and, to this day, we are continuing to work on that. Pauling in lecture at Stanford University, 1969. Photo by George Feigen. Linus Pauling knew going into his appointment at Stanford University that grants and outside funding would of paramount importance to keeping his research afloat. In September 1972 – three years into his tenure – Pauling authored a memo describing his work for the chemistry department in which he explained that his Stanford salary was now coming exclusively from grants, and that he had no other assigned duties at the university besides heading research. He likewise noted that he was actively working to bringing in new sources of money as well. In particular, he had “negotiated” a sickle-cell anemia contract with NIH earlier in June, estimating that $92,000 would be necessary from the agency. The previous year, in spring 1971, Pauling applied for a grant from the Department of Health, Education, and Welfare to build a field ionization spectrometer for use in his urine analysis diagnoses. This device had only recently become available, the result of new technological advances in instrument design. In his application, Pauling detailed the potentially profound impact that this piece of equipment would have on his work. This device would make possible simultaneous quantitative analysis and identification of 500-1000 chemical substances in a human body fluid in a time period of a few minutes and with an expenditure of only a few dollars per sample. Pauling requested $387,554 for the project. It appears from a later report on his activities that he received the grant. While Pauling enjoyed a long track record of success in attracting funding for his work, it was not always enough. In August 1972, Perry West, an administrative officer at Stanford, wrote to Pauling’s colleague and lab-mate, Art Robinson, to inform him that the laboratory’s current NIH and NSF funds would only last until the end of the year, two months short of what they had been meant to cover. As it turned out, Pauling’s laboratory had been using more computer time than they had been allocated, and had “drastically overdrawn” one account which they needed reconcile for themselves. The group has also overdrafted a second computing account that West had been funding for them. A few months later, in January 1973, Pauling brought his proposal to William F. Miller, Stanford’s Vice President and Provost. In making his pitch, Pauling emphasized the potential for orthomolecular medicine to bring in “millions of dollars” of funding. He also described the ways in which interest in orthomolecular research had already been taking off. By way of evidence, Pauling noted several talks that he had given the previous fall, details of which had made their way into the press. As became readily apparent in the years that followed, Pauling also saw potential for vitamin C to treat a number of maladies including cancer, skin diseases, schizophrenia, the common cold and other infections. To begin actively investigating these tantalizing possibilities, he wanted to establish research centers at both Stanford and the University of Chicago. Miller replied to Pauling that he would consider his proposal and discuss it with the Dean of the Medical School. The Institute of Orthomolecular Medicine, 2700 Sand Hill Rd. Menlo Park, CA. During this time, Pauling was also being encouraged by others reaching out to him, particularly Ewan Cameron, a surgeon and medical researcher at the Vale Leven Hospital in Scotland. Cameron shared with Pauling data related to his own successful use of vitamin C in treating bladder cancer patients. Pauling wanted to follow up on Cameron’s success and, in 1972, the two attempted to publish a paper in the Proceedings of the National Academies of Science on ascorbic acid as a treatment for cancer and other diseases. Their paper was initially rejected and, after Pauling resubmitted it, it was rejected again, an action that was described as “professional censorship” in an editorial published within the Medical Tribune. Undaunted, Pauling continued to push his interests in developing orthomolecular medicine at Stanford and, in May 1973, proposed that the university consider building a new laboratory dedicated to the topic. In addition to the direct benefit of providing support for orthomolecular research, Pauling argued that a new laboratory would remove this work from the chemistry building, allowing it to emphasize its closer sympathies with medical research. Pauling again approached William Miller, telling him that a donor had already promised to give $50,000 for construction, which was estimated to be about half of the total cost. Pauling also expected other grants to come in as well. Ultimately, Miller did not think it wise to pursue construction of Pauling’s orthomolecular facility. In rendering this judgement, Miller explained that Pauling had only been at Stanford for a short period of time and that his position was subject to annual renewals. This being the case, Miller did not want to “institutionalize” Pauling’s work unless Pauling was able to convince others in the chemistry and medical departments of its importance. In effect, Pauling was told that, if he wanted his space, he would have to win over his colleagues first and convince them to initiate their own research programs in orthomolecular medicine. If this were to come about and more faculty with plenty of years ahead of them were to push for the idea, then Miller would be more open to considering a new capital project. Short of this, Miller suggested that donor funds be steered toward a more general purpose facility that would be made available to all chemistry faculty members. Miller’s decision was important as it directly led to Pauling’s departure from Stanford University. Motivated to develop a space to pursue what he believed to be an exciting line of research, Pauling began to look for a laboratory facility off campus. This search led him to a building in Menlo Park near the Stanford Linear Accelerator. Not long after, the building became home to the Institute of Orthomolecular Medicine which, in 1974, was renamed the Linus Pauling Institute of Science and Medicine. Jeanne Drisko with Murray Susser. Both Drisko and Susser are past presidents of the American College for Advancement in Medicine. At her public lecture, “Intravenous Vitamin C: Does it Work?” delivered at the Linus Pauling Institute’s Diet and Optimum Health Conference in September 2017, Dr. Jeanne Drisko of the University of Kansas Medical Center, Kansas City, provided an overview of current research on the potential impact of intravenous vitamin C in treating disease. She began this portion of her talk by reflecting on the factors that have continued to propel her own scientific interest in the topic, despite the headwinds generated by critics of the work. For one, Drisko has taken heart in the fact that intravenous vitamin C is used in many clinics around the world. Indeed, at a 2006 integrative medicine conference, Drisko and colleague Mark Levine took a survey of participants and found that some 8,000 patients had received intravenous vitamin C from doctors attending the meeting. Because Drisko maintains contacts in both conventional and alternative medical circles, she knows that naturopaths have been using intravenous vitamin C as well. Drisko then pointed out that one barrier to more widespread acceptance of vitamin C as a cancer treatment is that, conventionally, it does not make sense to administer it in tandem with chemotherapy, since vitamin C is known to be an antioxidant and chemotherapy is a prooxidant. That said, Levine and Drisko’s colleague in Kansas, Qi Chen, have found that when vitamin C is given intravenously, it actually works as a prooxidant because it produces hydrogen peroxide. As such, it actually becomes a very good compliment to chemotherapy. Moreover, studies conducted by Drisko and others have found no evidence of conflict arising as a result of vitamin C dosages given alongside chemotherapy. On the contrary, researchers have reported a synergistic relationship in many cases. In explaining why this is so, Drisko noted that when vitamin C is injected into a vein, it takes on the form of an ascorbyl radical, which she described as a “very promiscuous and active molecule that likes to interact with transition metals” like copper and iron. These interactions lead to the formation of hydrogen peroxide, which is quickly turned into water and oxygen by the enzymes glutathione peroxidase and catalase, such that levels of hydrogen peroxide in the bloodstream are promptly rendered as unmeasurable. However, when vitamin C gets into the extracellular fluid it also becomes hydrogen peroxide. The difference in this case is that glutathione peroxidase and catalase do not intervene and the hydrogen peroxide is not broken down into water and oxygen. Instead, the hydrogen peroxide diffuses throughout the extracellular fluid, bathing the cells. While the presence of hydrogen peroxide in the cells might seem unsafe, Levine’s cell culture tests have found that hydrogen peroxide caused harm only to cancer cells. In reporting his results, Levine explained that the glutathione peroxidase and catalase enzymes are not as efficient in attacking cancer cells because they direct their activity towards reproduction rather than other processes. The fact that glutathione peroxidase and catalase are not active in the extracellular fluid renders vitamin C as a pro-drug and hydrogen peroxide as an actual drug. Drisko’s research portfolio on the use of intravenous vitamin C includes the first randomized controlled trial involving ovarian cancer patients, work that was published in 2014. The trial studied two groups of patients: one group received standard care, which included carboplatin and paclitaxel chemotherapy for six cycles. The other group received this same care along with 75 to 100 gram doses of intravenous vitamin C.
The trial made clear that this form and dosage of vitamin C therapy is safe to administer. It also yielded a statistically significant improvement in how certain types of patients felt during their cancer treatment. Drisko called this a “feel good effect” which she believes is neurological. This same impact, however, was not observed in patients suffering from more advanced stage three and stage four cancers. Drisko is currently following up on these results by looking at the role that vitamin C might play in brain chemistry. While her work has generated positive results, Drisko is also aware that vitamin C should not be used in all cases. Importantly, vitamin C is known to be potentially harmful when given in large doses under certain conditions. One such case is in individuals suffering from a deficiency of Glucose-6-Phosphate Dehydrogenase, or G6PD. On its own, G6PD can cause anemia, but when combined with high levels of vitamin C it leads to hemolysis, or the destruction of red blood cells. As a matter of standard protocol, Drisko checks her own patients for G6PD deficiencies, but she knows of others who have been unaware of this biological conflict and who have had to send patients to the emergency room. Drisko will likewise opt against administering intravenous vitamin C when a patient reports a history of oxalate kidney stones, which can form as a result of excessive vitamin C intake. For individuals who have gone ten years or more since their last instance of oxalate kidney stones, Drisko administers vitamin C, but she does so cautiously, monitoring kidney functions and liver enzymes throughout the process. Another barrier to studying intravenous vitamin C is that it is a difficult substance to measure since it is processed by the body so quickly. To get around this difficulty, Drisko developed a finger stick method that emerged from her interactions with a diabetic ovarian cancer patient. Over the course of these interactions, Drisko found cause to contact a glucometer manufacturer who told her that, because vitamin C and glucose molecules are so similar, the glucometer would indicate levels of both. Making use of this similarity, Drisko started taking finger stick glucose readings both before and right after her patients received their doses, and using this process she is now able to ascertain a rough estimate of how much vitamin C has been absorbed by the body. In attempting to achieve greater certainty about appropriate dosage levels of vitamin C to administer, Qi Chen and Mark Levine have conducted experiments wherein they give intravenous vitamin C to mice and rats with tumors. This work is a follow-up to Levine’s original studies in the 1990s, which showed that vitamin C given orally could not be absorbed above a 10 millimolar concentration. In their more recent invesigations, Levine and Chen have found that blood concentration levels of 20 to 30 millimolar can be achieved as a result of intravenous application. They also found that the tumors in their mice studies would take up the vitamin C and that hydrogen peroxide formed in the tumors and subcutaneous tissue, but not in the blood. Drisko gives her patients two to three infusions of vitamin C per week in advanced cases. Ideally, the vitamin C would be administered as the fluid loading dose for chemotherapeutic drugs, but it is often difficult to carry out both vitamin C and chemotherapy treatments on the same day because patients are already burdened by a busy treatment schedule and the facilities providing the two types of treatments are often not in the same location. (A new dosing device that attaches to the hip, developed by Channing J. Paller at Johns Hopkins, could help to get around some of these barriers.) Drisko’s treatment schedule uses a “stair-step” methodology wherein doses ranging from 0 to 100 grams are able to achieve 20 millimolar blood concentrations. The appropriate duration of vitamin C treatment for cancer is still an open question. What is known is that it takes at least a couple of months before effects start to show. This stands in stark contrast to chemotherapy, which makes a much quicker impact. Drisko concluded her talk by sharing the hopeful story of a woman who had participated in her ovarian cancer trial. This patient had been part of the group that had received the standard chemotherapy treatment only. She had subsequently relapsed very quickly and was believed to have only months to live. In her conversations with Drisko, the patient expressed a strong desire to live long enough to give her grandson a present at Christmas, and she requested that Drisko give her vitamin C in addition to her chemotherapy, since she was no longer part of the trial. Initial CT-PET images showed that the woman was suffering from an accumulation of fluid, or ascites, full of cancer cells that were pushing against her organs. At the start of her intravenous vitamin C treatment in 2004, a second CT-PET scan showed both the malignant ascites as well as a residual tumor that could not be removed surgically. Subsequent scans after Drisko began her treatment showed gradual improvement. In 2007, the pictures included fewer ascites and the tumor was somewhat smaller, trends that continued to be seen in 2012. By 2014, calcification appeared in the tumor and around the fluid, with further calcification showing in 2015. In essence, what the scans were revealing was an eight-year process of “turning her cancer into a scar.” While this is only a single example, it is a powerful one, and may prove to be harbinger of medical breakthroughs to come. Drisko began her talk by tracing the history of vitamin C research, noting the ways in which previous studies had made her own research possible. The first person Drisko spoke of was Nobel laureate Albert Szent-Gyӧrgyi (1893-1986), who isolated ascorbic acid while working at Cambridge University and the Mayo Foundation between 1927 and 1930. Drisko then pointed out that, in the 1940s, vitamin C was used widely in clinical settings to treat pertussis, or whooping cough, along with other bacterial and viral infections. Importantly, these treatments were not administered orally. At the time, pharmaceutical preparations of vitamin C were not of a quality that could be administered intravenously, so they was injected into the muscles. The use of vaccines was also on the rise during this period and Drisko pointed out that the development of the polio vaccine was particularly connected to the clinical fate of vitamin C. Albert Sabin (1906-1993), who had developed an oral polio vaccine, also carried out trials on the effects of vitamin C injections on primates. Sabin found no benefit and suggested that focus turn toward vaccines instead. It was at this point, Drisko explained, that the use of vitamin C injections went “underground,” drifting well outside of the medical mainstream. One individual who remained interested in the promise of vitamin C was Frederick Klenner (1907-1984), who began using intravenous ascorbic acid at his North Carolina clinic in the 1940s. Drisko described Klenner as keeping “vitamin C use alive,” by administering both muscular and intravenous injections, while the broader medical community turned elsewhere. In particular, Klenner used vitamin C to treat children suffering from polio and found that even advanced cases could be approached successfully. During this time, Klenner also trained other practitioners in the methods that he was pioneering at his clinic. Ewan Cameron, Ava Helen and Linus Pauling. Glasgow, Scotland, October 1976. Next, Drisko turned to Linus Pauling. To begin, Drisko noted that since Pauling was already well known, his interest in oral vitamin C was written off by many who were familiar with his prior work. Others, however, did look to Pauling as an authority, and among them was the Scottish surgeon Ewan Cameron (1922-1991), who contacted Pauling after reading some of his papers in the early 1970s. In his initial correspondence, Cameron informed Pauling that he had been giving about ten grams of vitamin C to cancer patients and had observed that they tended to live longer. As a result of their shared interest, Pauling and Cameron decided to collaborate on a series of papers investigating the potential clinical import of large doses of vitamin C.
As they delved deeper into this work, Pauling became convinced of the need to carry out more rigorous trials. Lacking the funds to do so, he instead turned to the National Institutes of Health. Fatefully for Pauling, Charles Moertel (1927-1994), an oncologist at the Mayo Clinic who was eager to debunk the effectiveness of vitamin C, agreed to lead the NIH investigation. Specifically, Moertel carried out a double-blind placebo-controlled trial in which ten grams of vitamin C were administered orally, and he found no benefit. (He was not aware that Cameron had been injecting vitamin C intravenously.) Moertel published his results in the New England Journal of Medicine and the press picked it up. Once the negative conclusion had been widely circulated, subsequent mainstream interest in the medical application of vitamin C suffered a near fatal blow. Research on intravenous vitamin C began to re-emerge during the 1990s, led in part by NIH scientist Mark Levine. Levine’s nutrition experiments were novel, and did not emerge from the types of medical training that he could have been expected to received. For context, Drisko described her own education, wherein courses on nutrition were optional and held on Saturday mornings. She attended them because she was interested, but she also went along with the convention of the time; one emphasizing that nutrition was of lesser importance relative to other aspects of medical practice. Levine, on the other hand, did not follow this line and decided to study vitamin C in depth. In the trials that he carried out at the National Institutes of Health, Levine tracked patients deprived of vitamin C and showed that they had indeed become vitamin C deficient. He followed this by administering oral doses of vitamin C, which demonstrated repletion. At the end of his trial, Levine also administered one gram of vitamin C intravenously. He was not allowed to administer a higher dose to his subjects, due to fears of toxicity, but it was his guess that ten gram doses would yield peak blood levels of vitamin C.
Drisko’s mentor, Hugh Riordan (1932-2005), was another individual responsible for keeping vitamin C research alive. The founder of what is now known as the Riordan Clinic in Wichita, Kansas, Riordan belonged to a group of orthomolecular physicians who saw vitamins as providing restoration of a healthy baseline in all humans. After Levine published his paper on vitamin C absorption, Riordan went to visit him in Maryland to convince him to continue following this path of inquiry. The two ultimately collaborated on several case studies and welcomed others into their fold, a progression that helped incubate today’s group of researchers investigating the use of intravenous vitamin C.
As of 2016, the intravenous vitamin C group included Qi Chen, who works on basic research at the University of Kansas with Drisko; John Hoffer at McGill University, who explores the effects of high doses of vitamin C on cancer; Garry Buettner and Joseph Cullen at the University of Iowa, who looks at the redox capacity of vitamin C in patients undergoing radiation therapy; and Ramesh Natarajan at Virginia Commonwealth University, who is researching the use of vitamin C in the treatment of sepsis. Drisko noted that there are differences in the lines of research followed within the current group. On the one hand, her cancer trials use megadoses of vitamin C at 75 to 100 grams. Natarajan, on the other hand, only uses 4 or 5 grams in the ICU for sepsis. For Drisko, these differences emphasize that there is still a lot of research to be done to understand exactly what is going on. However, current trends suggest that the gulf is being bridged. While some state medical boards still restrict the therapeutic use of vitamin C, Drisko and others have succeeded in garnering increasing levels of support from both colleagues and institutions. Shifts in funding opportunities are also beginning to emerge: though Drisko was unable to secure federal dollars for her work on ovarian cancer, the Gateway for Cancer Research non-profit stepped in to provide crucial support. With evidence of the efficacy of the treatment building from a growing number of trials, the possibility of obtaining federal grants is becoming more realistic. Likewise, drug companies are now looking at ways to patent vitamin C therapy, and some vitamin C treatment patients have succeeded in receiving reimbursement from their insurance companies. Next week, we will provide an overview of the science underlying this renewal in optimism about the potential to fight disease with intravenous ascorbic acid. Next week, a new school year will start here at Oregon State University. And with it, for the first time since 1997, the Linus Pauling Institute will enter into a fresh academic calendar without the leadership of its now emeritus director, OSU Distinguished Professor of Biochemistry and Biophysics, Dr. Balz Frei. Last Spring, word of Frei’s retirement from LPI made its way into local headlines, and in this interview he confided that, in addition to relinquishing his administrative responsibilities, he will be closing down his research laboratory as well. A native of Winterthur, Switzerland, Frei moved permanently to the United States in 1986, when he accepted a lengthy post-doctoral appointment in Dr. Bruce Ames’s lab at the University of California, Berkeley. Frei later moved on to a position in the Nutrition Department at the Harvard School of Public Health, and after four years at Harvard, he relocated to the Boston University School of Medicine. A widely respected scientist, Frei’s research has focused on the mechanisms causing chronic human disease, in particular atherosclerosis and cardiovascular disease, and the role that micronutrients, phytochemicals, and dietary supplements might play in ameliorating these diseases. In 1997, Frei became the first and, until now, only director of the Oregon State University incarnation of the Linus Pauling Institute. Founded in 1973 as the Institute for Orthomolecular Medicine, and renamed the Linus Pauling Institute of Science and Medicine a year later, the Institute struggled for much of its history in California, hamstrung in part by the intense controversy that it’s founder and namesake generated through his bold proclamations about vitamin C.
Moving to OSU in 1996 helped to wipe the Institute’s slate clean, and the major progress that the Institute has enjoyed in the twenty years that have followed is a direct outcome of Frei’s vision, skill, and endeavor. Following Linus Pauling’s death in 1994, the Institute, crippled by funding problems and lacking a clear strategic vision, was nearly shuttered. Today, Frei leaves behind a thriving research enterprise that includes twelve principal investigators and a $10.2 million endowment. We conducted a lengthy oral history interview with Frei in January 2014 and have included a few excerpts after the break. The entire interview is worth a read as it details the life and work of a man who has made a true difference at our institution and within the fields of disease prevention and the quest for optimal health.